In 1960 Isaac Stolz started a business in leather for clothing. In the swinging 60s and 70s the clothes industry flourished in Flanders and Brussels and it was especially the leather jacket that became immensely popular. As a result the demand for leather rose. In the 70s leather suites entered our living rooms. 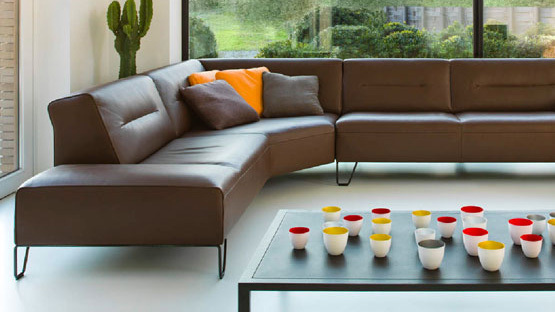 Stolz seized the opportunity and from the mid 70s on the company gradually switched to trading of leather for furniture. At first the activity was restricted to Belgian and French markets, but from the mid 90s Stolz determinedly focused on export. Nowadays most of the Stolz products are being exported. 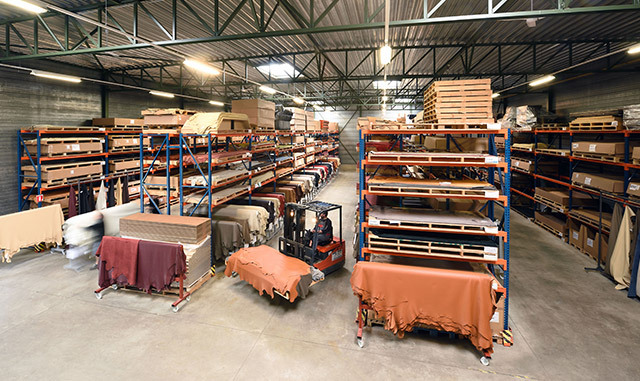 From the North to the South of Europe, from the Atlantic Ocean to the Gulf region there are seat manufacturers, interior architects, car interior designers,… who almost daily use Stolz leatherworks. You, our client, provide our team the right stimuli: through this close corporation we acquire a right insight into the market. The actual Stolz leather collection is indeed tremendously successful as a result of the right information you provided us in the past. Your suggestions on colours are most welcome! Do you need a colour according to your wishes for a particular project? No problem! Beside the colours of our standard collections specific colours are produced on a regular basis.